Often, companies think that it seems like the easiest strategy for growth. After all, all you have to do is write stuff and post it on your website–right? Of course, that’s an incredible simplification. Much, much more work and thought goes into successful content marketing. It’s not enough to have a great strategy. You also need to write stand-out content. But it’s not enough to have stellar content. You also need a rock-solid strategy. To make things even more complicated, content marketing is almost never an isolated marketing strategy. It dovetails into social media, advertising, SEO, email marketing, and so many other facets of your marketing and growth. This guide is meant to be a complete resource on how to create an effective content marketing strategy. Because of its ubiquitous nature, we can’t cover every single angle associated with content marketing. But we can help you understand the fundamental frameworks of what goes into creating a strategy that works. In addition, we’ll provide links to dozens of relevant and useful resources that go in-depth on each topic. Before you start writing blog posts, take the time to put together a content marketing strategy that makes sense, scales with your business, and will help you achieve your ultimate business goals. If you’ve been anywhere around the world of marketing, PR, or communications over the past decade or so, chances are good that you’ve run across a lot about the topic of content marketing. Many of most famous online marketers talk about content marketing as if it’s some mystical fix-all. The truth is that many companies that have seen content marketing work for others and then attempt to emulate it fall down early in the process. They fail to understand the underlying frameworks and components that made other companies successful and often fail to outline their own strategy in a way that truly makes sense. This leads many companies to an approach that I call “blog and pray.” In other words, companies know that content marketing can work, but they don’t know how it works. So they just start creating and publishing content. Then they wait and hope something happens. Unfortunately, “blog and pray” doesn’t work for most companies. In order to be successful with content marketing, you need an actionable content marketing strategy. This strategy will outline how you will create content that drives value for your audience and also drives value for your business. This is the whole point of content marketing. If the content you create is not valuable for your audience, then no one (or the wrong people) will read it. On the flip side, if you create content that doesn’t create value for your business, then you’re just wasting your time and energy creating content that isn’t helping you grow. So, to achieve this, your strategy should detail some specifics about why you’re doing content marketing in the first place, who you’re trying to reach, and how content marketing will help you achieve those objectives. For now, let’s start by further defining what a content marketing strategy will look like and why it’s important. It’s important to note that your content marketing strategy is not the same thing as your content marketing plan. This may seem pedantic. But it’s not. Your strategy is what informs your plan. Without a strategy, you simply create a pile of blog posts with no clear direction or purpose. In this guide, we will cover planning (e.g., how to come up with specific content ideas), but only after we have gone through all of the underlying steps to define the why, who, and how of our strategy. Don’t get confused and think that a content marketing strategy is simply about creating a list of topic ideas or an editorial calendar. Even the best content in the world will not be effective unless it flows from a clear and well-devised strategy. To get an idea for what you can expect to come from your content marketing strategy (assuming that you follow along with the rest of this guide and read the relevant resources), I wanted to include some case studies and other articles that show what successful content marketing looks like. Don’t take this as a cue to jump ahead. Without the underlying strategy, most (probably all) of these case studies would not be possible. They would have failed. So, take some time to check them out. But be sure to come back to this process to understand how they were made successful in the first place. When you sit down to put together a content marketing strategy, it can seem daunting. There are so many things to consider, so many factors to determine, and so many variables to account for. What are you trying to accomplish with your strategy, who do you want to reach, and how will your strategy ultimately help you achieve your goals? This is the basis for every successful content marketing strategy and it all begins with identifying some key factors that will be the basis for everything you create and publish. 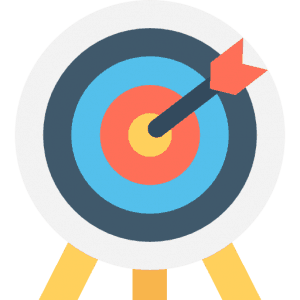 Where you’ll reach your target audience. In the next few chapters, we will go into more detail on each of these specific components, but let’s first look at how they work together and how each one informs the other elements. Your content marketing strategy should always begin with an eye toward your bottom-line business goals. The only reason that your business should undertake any form of content marketing is if it can be used as a way to achieve those goals. As such, you must always begin defining your business objectives and then using that to develop your content marketing strategy. Why are you doing content marketing in the first place? Too often, companies look at content marketing as an activity all of its own, done for its own sake. But if that’s the case, then there’s no larger sense of value driving the content marketing–there’s no business case for its existence. Instead, start by defining your objective in terms of the value that you want to create for the business (sales, revenue, leads, etc). Build an effective content marketing strategy with a free content marketing template, buyer persona template, content marketing tactics cheat sheet, and editorial calendar template. There’s a famous saying in business: What gets measured gets managed. It’s generally true. In fact, we can often become enamored with the numbers–sometimes to a fault. When defining your content marketing strategy, you should understand that the metrics you use to measure the success of your efforts should flow directly from the objectives that you have set forth. So, if your ultimate goal is to use content marketing as a way to drive sales (your objective), then you should define metrics that measure those results. If, on the other hand, you set your objective more broadly, or–worse yet–you begin by defining content metrics (page views, time on site, etc) rather than true business objectives, then you will end up measuring the wrong thing. In either case, the tactics that you define and continue to execute will be a direct reflection of the metrics that you’re measuring. If those metrics are “page views”, then you may pursue tactics that drive more page views but actually hurt more meaningful measures of success like sales, revenue, or sign ups. This is the classic trap of using vanity metrics rather than real measures of success. Many companies fall for it. But you can avoid it by keeping your eye on the numbers that truly matter to your company. The point here is simple: Choose your metrics based on your high-level business objectives. Although you may use other, supporting metrics to measure your content marketing efforts, the key metrics (or Key Performance Indicators: KPIs) should be directly related to your ultimate desired outcome. But, instead, you should start by taking a good, hard look at your audience. Where do they actually spend time? Where do they find and discover content that is relevant to them and to your business? While almost everyone is on Facebook, it may be the case that your audience uses Facebook primarily for personal and family purposes. Maybe they don’t want to see content about their work life through that channel. Your audience may hang out in specialized communities, forums, or subreddits. 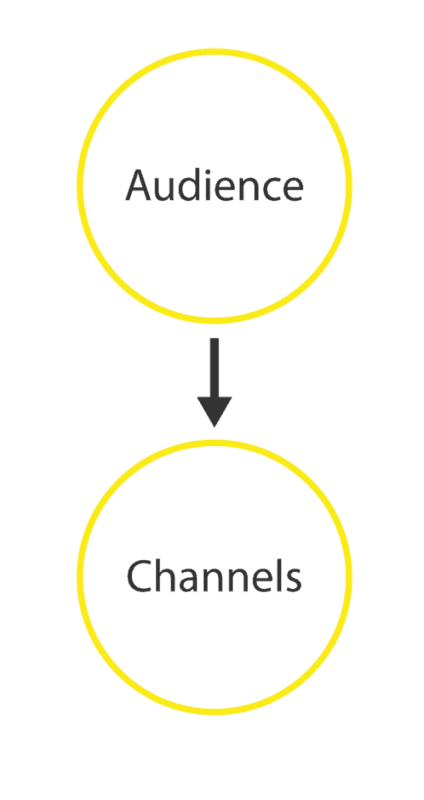 You’ll need to start by defining your audience and then researching them to understand which channels make the most sense. 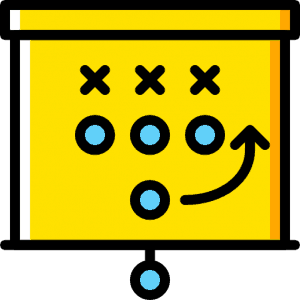 While it’s often tempting to jump into defining tactics earlier in the process, it’s important to keep in mind that tactics should ultimately come last in your strategy. In fact, tactics aren’t really part of your strategy at all–they flow from it. Once you have defined the other elements of the strategy, it will be much easier to prescribe specific tactics that will help fulfill the strategy you’ve set forth. But if you start to define tactics too early, it’s easy to latch onto ideas that don’t fit with your overall goal or won’t resonate with your audience or work within the channels where they live. Resist the urge to define tactics early and instead focus on the strategy and all of its components first. When you have defined your strategy clearly, it will be much more simple to decide which tactics work well and which ones won’t. Every content marketing strategy should start with your objective. Too often, this takes the form of some abstract, loose definition of success. Companies that fail at content marketing (or give up on it) often rely on content marketing metrics (page views, bounce rate, etc) as their own end-all measures of success. But, when we’re talking about creating a content marketing strategy that actually works to grow a business, you can’t settle for generic metrics about the success of your content itself. You need to start by understanding your business and then defining metrics that will allow you to see how the content is impacting your overall growth. In this chapter, we’ll walk through the process of defining those metrics and then touch on how they dovetail into the specific tactics that you’ll want to be part of your strategy. Ostensibly there is some business value that you want to generate with your content marketing. This is where you should start. Your content marketing strategy should always be rooted in the high-level business objectives that you want to achieve. The key here is to focus on these high-level objectives first. Define what you want to achieve from your content marketing–how you want it to help your business. These objectives are your true north star. Metrics tell you how well your content marketing is helping you to achieve your business goals. If you take the business goal itself–like, say, sales or revenue–then you can’t possibly measure what effect content marketing alone is having on those numbers. On the flip side, if you measure content metrics (page views, times on site, etc) by themselves, they don’t tell you anything about the business value that you’re creating from your content. 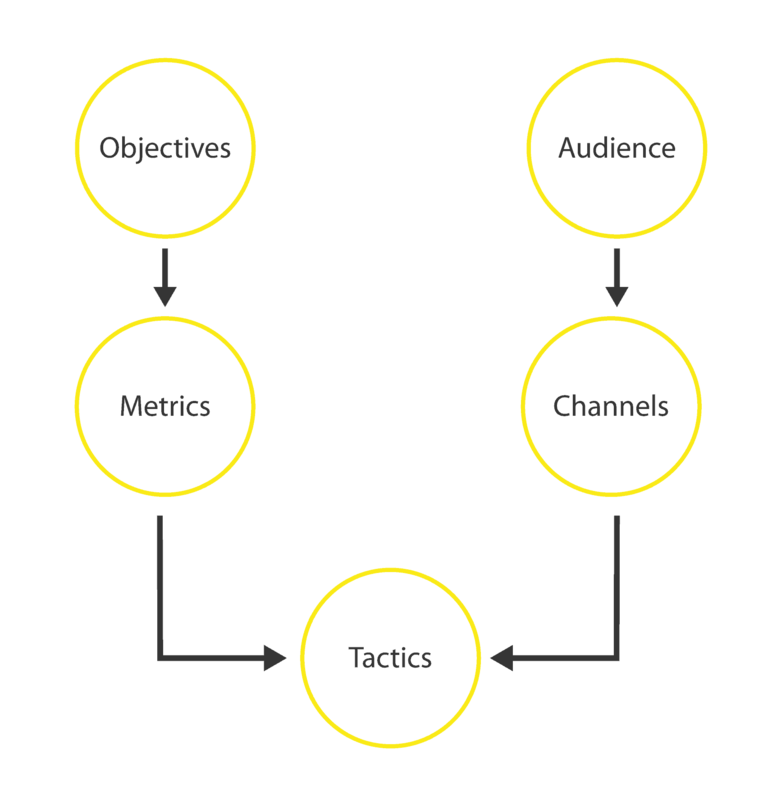 You need metrics that tie your tactics to your objectives. They should help you answer questions like, is this content actually creating value for our business? The metrics that you choose will end up directing your actions as you begin to execute your content marketing strategy. If you are watching your bounce rate, for example, then you will focus on implementing tactics that help you get people from one page to a second page. This may be valuable, but only if it leads to positive results in metrics that relate more directly to your actual business goals. Based on your objectives, you will want to identify metrics that allow you accurately assess how well your content marketing is helping you achieve your goals. This will be how you’ll measure success and determine if your strategy is working or if you need to change your approach. Go beyond your basic metrics like pageviews and define specific metrics that measure your results. For example, if your goal is to generate sales leads, then you will need to measure metrics that tell you, specifically, how well your content marketing efforts are helping you generate those leads. So, now, we have taken our primary objective and broken it down into specific measurements that we can monitor every day, week, or month to determine if we are generating the kind of results that we would expect from our effort. But, in order to drive toward these metrics, we need specific actions that we’ll take in order to move those different needles–we need tactics. The tactics that you will eventually employ (think types of content, outreach/promotional channels, etc–not specific content ideas) will ultimately flow from the goals that you have set forth, the metrics that you measure, and the audience that you have defined (see Chapter 4). At a basic level, you will need to implement specific tactics that will drive results for the metrics that you have defined. If we return to the case where our primary goal is to generate more sales leads with our content, then we can begin to map clear tactics to our strategy, which will drive the metrics we are measuring and (ideally) the goals that we have set for ourselves. Once we have metrics and goals defined for each of our specific goals, then we will be able to start to put all of the pieces together. Get help with converting your business goals into content marketing tactics—and more! 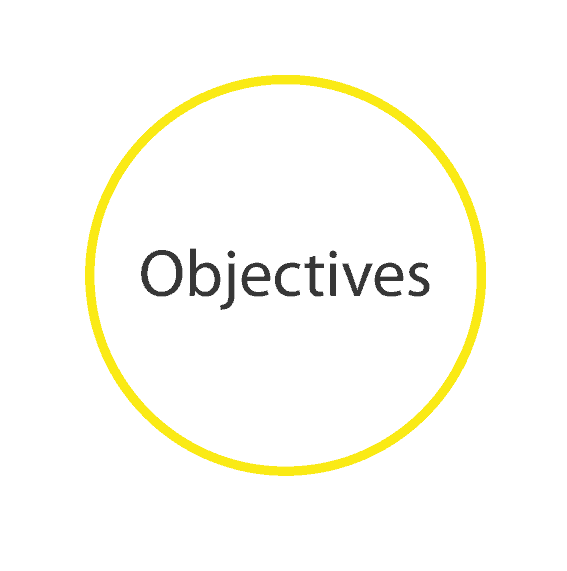 We will have a set of tactics that flow from our objectives and create a framework for our overall strategy. We’ll discuss how to formalize this strategy a bit more in Chapter 6. In this chapter, we want to dive into identifying key audiences for your content and, from that, understanding which channels we can and should use to promote that content. These two pieces go hand-in-hand and will steer a big part of your overall strategy. In order to get to this point, we need to begin by defining the buyers that we are trying to reach. We’ll want to both understand them at a basic level, but also try to take a deeper look into each persona and what problems, needs, and worries they have–so we can help solve them through our content. Every great content marketing strategy stems from a deep understanding of the audience you are trying to reach. This may sound a bit trite, but think of it in practice. Your ultimate goal with content marketing is not only to attract people to your website, but to attract the right people at the right times. If you have a B2B SaaS product, then your audience is probably not teenagers. This much is obvious. But, if we zoom in on the personas that are right for the B2B SaaS company, there are many more levels to explore. This company may want to target startup CEOs or founders, marketing directors, or heads of sales. While all of these may be relevant to the same company, each of these buyers has profoundly different needs or wants. These specifics are how you can understand and define your different audience segments. In order to build a buyer persona that we can use to understand the kind of content that we should create, the places where we should promote it, and the way we should sound, we will walk through each of these characteristics for every persona. Get a free buyer persona template, plus 3 other critical resources for creating a successful content marketing strategy. Begin by first defining your key audience in general terms. For the sake of this example, we’ll use Denise the Developer. Denise is our persona for a startup software engineer in Silicon Valley. Now, we’ll examine the three dimensions outlined above to give us dimensions and insights about the persona. Keep in mind that these are archetypes. Of course, you will never be able to capture every person with a generalized persona. But it gives you a much richer understanding of these individuals than generic demographic information. For our clients, we generally try to identify 3-5 key personas. If we find that we are torn on the specifics of any one persona, we will usually break it out into 2 separate audiences. The most simplistic version of the buyer persona is a description of the person/people you want to reach. Marketing Director, Development Lead, CEO, young moms, etc, are all titles or qualifiers. But they don’t always give us a strong understanding of what that person actually does. The Marketing Director for a startup may have a much different role than the Marketing Director for a Fortune 100 company. In order to better refine our audience segments, we should go beyond just their job title. Dig into the role that they play in the organization. What are their primary functions? How do they support other teams? What responsibilities do they have? If we look at the role, we can immediately begin to key in on types of content or topics that might speak to this person. “How to Ship New Features Faster”, “Why Product Managers Need to Listen to Developers”, etc. This is the entire point of the exercise. It’s to understand this person and their place in the world–it’s to learn how to speak their language. But their role is just the beginning. We’re going to continue to expand upon this to give us a fuller picture of this person and how we can best communicate with them. Whether that’s in the business sense (increase revenue, improve retention, etc) or in the personal sense (lose weight, feel healthier, be more knowledgeable, etc). In order to understand the audience, we should understand their goals and how we can speak to those goals. From a content perspective, this is incredibly powerful. It allows us to frame the content that we create from the lens of someone who is trying to achieve some specific task. We can speak directly to their needs, answer their questions, and help them build a better life or career. If we return to our Denise persona, we can expound on what we have already identified by specifying what some of her goals might be in both work and life. It can be tempting to only focus on goals that correlate directly with our product or service. But keep in mind that this is about understanding the person we are trying to reach, not just selling them something. So, think more holistically about them to give yourself better insight. This applies to identifying their worries as well, which we’ll do next. 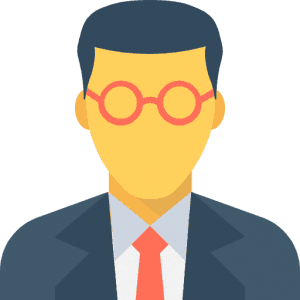 The last characteristic to consider about your buyer personas is what worries they have. Much like goals, we all have worries. And we seek information to help ease them, solve them, or at least validate them. In this sense, we again see that we are able to speak more directly to our audience if we are able to understand the concerns that they have and then address them directly with the content that we create. Let’s go back to our Denise persona one more time to add this final section. Will I make this deadline in time? Are my skills up to snuff with the rest of the team? Will our startup make it to the next stage? Do our users like that latest feature? What will I do if this startup fails? How can I maximize my limited free time? Where can I find a non-technical co-founder? What kinds of startups raise venture capital? The persona we outlined here is a bit generic and could be refined to be more specific and include more detail. But, you can probably already see how having this profile on your target audience will let you build a content marketing strategy that is really centered around reaching the right people. If you’re wondering how to do research and understand these personas in more depth (e.g., where the hell did you even come up with these bullet points? ), check out the articles in the resource section of this chapter for much more detail on research. Based on the personas that you define for your content, you will be able to start to identify the channels that you can use to promote and distribute the content that you create. This is an important step, so don’t overlook it. What social media channels does this person use? What communities do they hang out in? Where do they get their news and information? What questions/topics do they have? From this, you can understand what channels you should use in order to promote your content in order to reach your target audience. Many companies consider “content promotion” to be the act of tweeting an article, posting it to the company Facebook page, and maybe sending out a newsletter to existing subscribers. These are essential tasks, no doubt–but they won’t help you grow your audience and keep driving new traffic. This may seem strange, but content promotion and finding the right channels really is that important. Many companies create great content but do a poor job of promoting it. No one reads it. No one shares it. No one cares. Keep in mind that the point of creating content in the first place is to accomplish some kind of goal. Don’t let the content creation become an ends all to itself. Once you have created the content, you need to work hard to promote and distribute that content to generate results and achieve your stated goals. Next, your content marketing strategy needs to have a plan for how you will promote the content that you create. Many companies fail at content marketing not because they are not creating good content, but because they are doing poor (or nonexistent) promotion of their content. There’s an expectation that simply creating great content is enough and that it will eventually–somehow, magically–get noticed for its greatness. Content promotion is an absolutely critical component to every successful content marketing strategy. If you create the world’s greatest content, it is ultimately useless unless people actually see and read it. And, especially when your company is new or doesn’t have a huge online presence, you can’t rely on magical forces to generate traffic. Instead, you need to create an actionable and repeatable plan for how and where you will promote the content that you’ll create in order to generate the results that you’re looking for. I would argue that how you promote your content is so important to the process that, in many cases, it actually more important than the actual content itself. This may seem strange–coming from a content marketing agency–but, it’s true. In fact, our process of content planning involves scoping out the promotion plan for each piece of content before we write a single word or create a single graphic. We often begin by thinking about how we will promote a particular piece and then working backward to identify how that content should take shape. The reason is simple: Why create a piece of content if we don’t first have a plan for how to create value with it? Much like how each piece of content doesn’t need to be created as a way to accomplish every single goal, each piece of content also does not need to be promoted through every possible channel, tactic, or strategy. But each piece of content should have some promotional strategy in place. Let’s look at some ways that you can promote your content. Almost every company that is doing content marketing starts with social media promotion in mind. Most companies have a Twitter account or Facebook page that they’ll use to promote their content. But, this shouldn’t be the end of your efforts. Chances are that your company has a very limited reach through social media and your audience is largely already aware or interested in what your company has to offer. So, sharing your content is largely just helping you sing to the choir, so to speak. How can you expand your social promotion efforts beyond just tweeting a link out to your 120 followers? 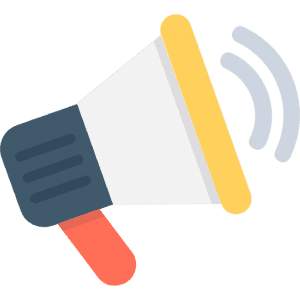 Although “free” content promotion and distribution tactics are often a favorite among companies and startups, paid promotion can serve a great purpose. And, used strategically, it can help your company to scale and grow their content marketing efforts much faster than they could through organic processes. In particular, a modest budget for content promotion on a platform like Facebook can help you reach thousands of qualified buyers. If it’s done really well, you can also drive organic reach and spread (e.g., sharing, comments, and likes) with your paid campaign, which will help your dollars go even further. The key to success at paid content promotion is to plan for content specifically for this channel (research and understand what content performs well and what kinds of content do not) and then mastering the many options for targeting, bidding, and placements. For this promotion tactic, you will look for online communities where your audience already exists. Then, find ways to promote your content within that community to gain visibility with the people you’re trying to reach. Depending on your particular audience, there may be many existing communities that are already out there. And depending on the platform and community rules, you may need to do more than just drop your link off and run away. You’ll want to search online to find these communities and create a plan for how to use each one for promotion purposes. The next logical step in content promotion for many companies is to use influencer promotion and outreach as a way to expand the visibility of their content. Ask them to share or promote your content. Of course, it’s not this simple. Most people–especially those with big audiences and industry influence–won’t promote content from a random company just because they ask. You’ll need to formulate a strategy for how to engage these influencers, get them interested in your product, service, or content, and then politely ask for their help when the time is right. In some cases, this takes the form of a formal brand ambassador or influencer outreach program. In other cases, it’s just a matter of creating casual connections and nurturing those relationships over time. Depending on your goals and the framework that you choose for your content marketing strategy, building quality backlinks may be an important part of your success. This is often a difficult and confusing piece of content marketing for many people. On the one hand, just the prospect of building links seems unnatural. Plus, the whole process–even when explained–can often be difficult to understand and execute. Nevertheless, if SEO and organic traffic is a major part of your goals, you will need to build links as part of your promotion strategy. Don’t expect links to just happen naturally. In many cases, sites never earn links organically and they suffer because of that. Without links that provide some level of domain authority to your website, your content may flounder for months–or years–without ever achieving the visibility you hoped for. Luckily, there are many proven and detailed strategies that make link building easier to understand and execute. You just need to learn about these approaches and figure out how they apply to your particular market or niche. Syndication and distribution of your content is often seen as one of the holy grails of content promotion. In essence, what you are doing is taking content that you have already created and getting other people to either republish (syndicate) or share (distribute) it to their audience. This allows you get further value from a single piece of content, reach new readers, and often drive traffic, followers, links, and social proof back to your main website. There’s no magic formula for succeeding with content syndication and distribution. But it certainly starts with creating incredible content. If your content is not unique, interesting, or particularly useful, then it will be difficult to get someone else interested in sharing it with their audience. The second part of the process is to identify sources of potential syndication and distribution. Depending on your niche or market, you can often find these by doing various searches online to find syndicated articles, content round ups, or curated newsletters. More on these specific strategies are included in the resources below. At this point in the process, we have accomplished a lot. We’ve defined many of the details of our strategy–objectives, metrics, audiences, channels, and even some tactics. At this phase, we want to take a step back. We want to look at the collection of things that we have defined here and try to understand and articulate what our actual strategy will be. In other words, we want to synthesize all of the details that we have laid out to this point and refine them into a core strategy. We want to be able to state our strategy in 1-2 sentences that describe what we are trying to achieve and how we will use content marketing to achieve that goal. With all of the details and specifics that we have defined in terms of what we want to accomplish, who we want to reach, and how we’re going to move forward, now is the time to tie all of these things together. In order to do this, we want to articulate the content marketing strategy in a concise statement. For example: We will use content to attract qualified traffic from search and social channels, and convert those visitors into marketing-qualified sales leads. This may seem very simple. And it is–on purpose. The role of your strategy statement is to remain as a general beacon, reminding you what it is you’re hoping to accomplish with all of the crazy tactics and work that will go into your content marketing efforts. Four critical resources for creating and executing your own content marketing strategy. It guides your actions. Based on this strategy, you can understand which pieces and tactics you will need in order to accomplish it. In this case, you know that you need key components to accomplish each specific part of your strategy statement. Unless you decide to change directions entirely, your overall strategy will largely remain the same. But, over time, your tactics may change. You may find that the type of content that you thought would be effective at “attracting qualified traffic” does not work as expected. So, you will try a different tactic, leaving the overarching strategy in place. It’s important to remember that your tactics will flow from your strategy. But a strategy is not made of a pile of different tactics. You need a high-level vision to drive the work that you’re doing. One of the most effective ways to define your strategy is through the lens of a content marketing framework. The framework is a shortcut for describing how different tactics and types of content will come together in order to drive a specific result. 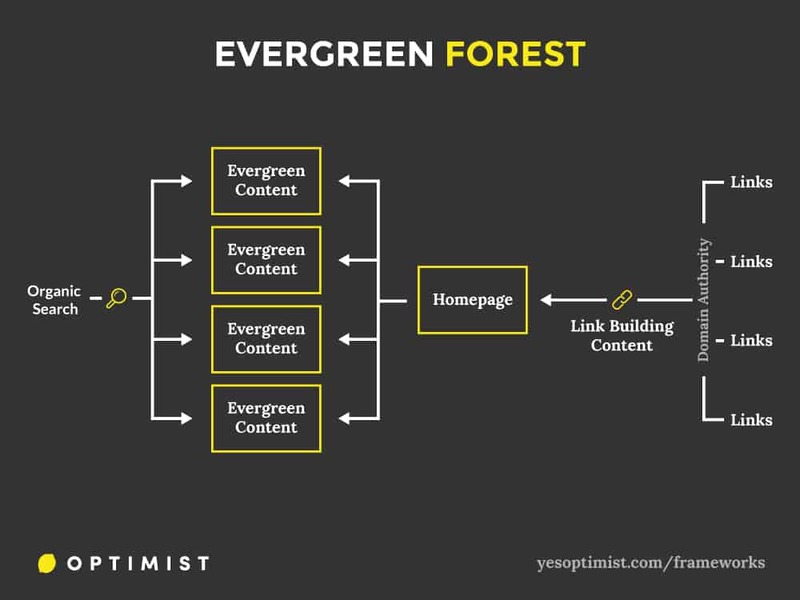 For example, if part of your strategy involves trying to drive more organic search traffic, then you will need both links (link-building content) and keywords (evergreen content) in order to accomplish that objective. Having a framework for your content marketing strategy will allow you to see how the various tactics come together in order to accomplish the overarching goals. To learn more about content marketing frameworks, check out the link in the resource section at the end of this chapter. Based on the strategy that you have articulated and the framework that you have outlined for your content marketing strategy, you will be able to define what tactics you will need to pursue. 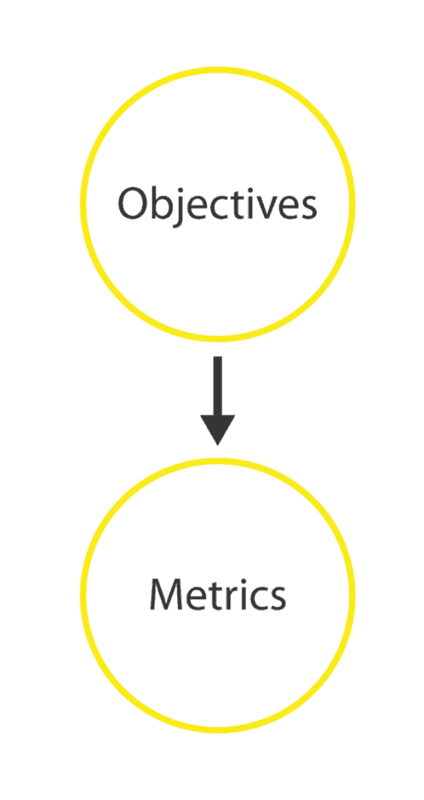 In Chapter 3, we discussed how many of the tactics will flow directly from the objectives and metrics that you define. But, with a full view of the strategy–and with your framework, in particular–you’ll be able to further define which tactics become part of the plan. You’ll want to understand that you need tactics across a range of areas. First of all, you need to define the types of content that you’ll need in order to accomplish your goals. Secondly, you’ll need outreach/promotion tactics, on-page tactics, and follow-up/nurturing tactics. 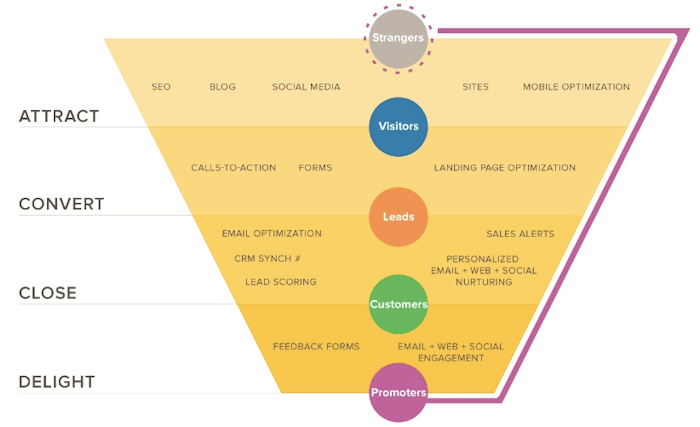 We commonly see this represented as a marketing funnel, with specific tactics mapped to the different stages of the buying process. In the case of this example, we can see that the strategy is built largely on inbound traffic and SEO. This is a common approach–but it’s not universal. Depending on the framework that you choose, you may not need to use keyword research or worry about search rankings. You may use other tactics like social content and paid promotion to drive traffic or build your community. There’s no one-size-fits-all solution here. But with the right research, strategy, and framework, you can define your tactics clearly and build an actionable plan to move forward. Often times, people confuse a content marketing strategy with a content marketing plan. Your strategy tells you why you’re investing in content marketing, who you’re trying to reach, and how you’ll measure your success. Your plan tells you–tactically–what it is that you’ll do in order to fulfill the strategy that you’ve set forth. Both components are essential. Without a strategy, your plan is just a list of content ideas. And without a plan, your strategy is just a vision for what you want to happen but no specifics on how to accomplish that. 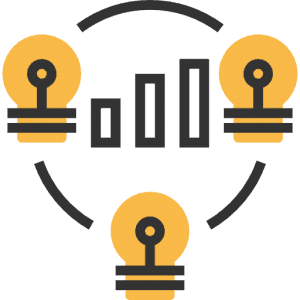 In this section, we will outline how you can translate your content marketing strategy into a specific, tactical plan for content ideas by using multiple research approaches. One of the most common questions I get asked about content marketing: How do you come up with content ideas? Just like any other creative exercise, it’s nearly impossible to come up with “great ideas” in a vacuum. If I sit you down in a room and say, “be creative,” you’ll probably flail around, confused about what the hell I want you to do. Coming up with ideas for great content is much the same way. Instead, you need to understand that ideas for content should ultimately flow from your strategy. Begin by looking at your specific objectives that you outlined in your content marketing strategy. Then, focus on just a single objective at a time. Use research, competitive analysis, and brainstorming to come up with content ideas that are both topical and strategic. Keep in mind that every piece of content that you create does not have to meet all of the objectives you’ve laid out. In fact, it’s usually incredibly difficult (or impossible) to have a single piece of content that will serve all of your goals. Focus on each individual goal and coming up with content ideas that will help you accomplish that specific part of your strategy. One fundamental part of many successful content marketing strategies is sound keyword research. If you’re unfamiliar with this process, it is about understanding your audience, what questions they have, what topics they are researching online, and how you can provide content that injects your business into their journey. At a strategic level, this data is used to inform topical content that you should create in order to maximize your content’s search engine visibility. As an example, you can look at target keywords related to this post and find that there is quite a lot of search traffic for “content marketing strategy”–meaning that it may be worth creating content for that specific query. But, to maximize the impact and prime the site for growth, you’ll want to start with this keyword data and use it to drive specific content ideas. There are many tools out there that can aid you in conducting keyword research. The tool shown above is Ahrefs. Once you have compiled keyword data that is relevant to your market and audience, then you should choose the most relevant keywords and brainstorm content that you can create for each topic. By optimizing your content for a specific keyword or small set of closely related terms, you can improve your chances for ranking and generating traffic. Understanding your buyer journey is a critical component to mapping out an effective content marketing plan. Depending on the buyer personas that you are targeting and where they are in the buying cycle, they will likely be looking for information related to different topics. As they progress through the buying process, different kinds of content will be useful for helping them take the next step. You can conduct an analysis of your buyer personas (identified in Chapter 4) and map their journey against a traditional AIDA funnel (Awareness, Interest, Decision, Action). What is the person thinking right now? Imagine that you’re running a content marketing agency (ahem) and you’re hoping to use content marketing to attract new clients to your website and then nurture them into becoming clients (cough). You could create a persona for your audience and then map our their journey. With this analysis in hand, we can map out specific content ideas that focus on meeting the needs and answering the questions that the buyer has at that particular stage. For example, you may take the thought, is content marketing the best investment? and create content that helps a prospect decide when it makes sense to invest in content versus other options. From here, you can create a sequence of relevant content that helps guides prospects from the Awareness stage through to Action. A third way to effectively come up with strategic content ideas is to analyze the performance of content created by competitors and others in your space. You can learn a lot about which topics are the most popular on social media, which keywords attract the most organic traffic, and which kinds of content generate the most backlinks. This process can help you reduce the manual research that you need to do in order to create original content ideas. Plus, it saves you a lot of trial and error of having to figure it out on your own. Product/Marketing competitors are those companies seen as a traditional competitor in a business sense. They are competing with your for customers, clients, and dollars. Audience competitors may not be direct (or indirect) competitors in this same sense. But they are trying to attract the same or similar personas to your company. We look at both of these types of competitors to glean insight into what content is working to attract and convert the people we want for the business. 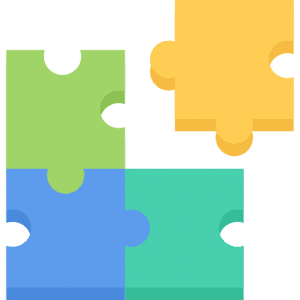 Once you have defined all of these pieces of your strategy and identified specific content ideas, it’s time to put together your plan. 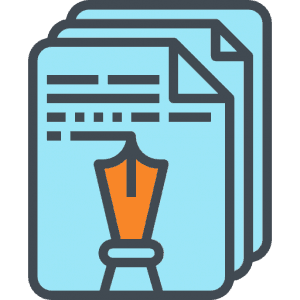 Synthesize all of the data and content ideas into a single list of potential topics. 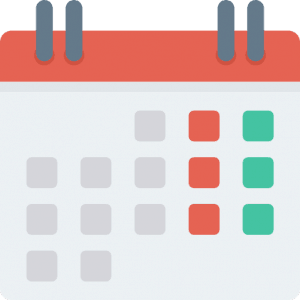 Grab a free copy of our content marketing strategy toolkit, including an editorial calendar template that you can start using now. Sift, sort, and categorize those ideas into a working calendar, with due dates assigned to each piece. Your editorial calendar should not only detail what you’ll be publishing and when, but also use it as a way to lay out your content strategically. What is the goal for a particular piece? What promotion or outreach tactics will you be doing? Who is the audience? Having all of this data in a single calendar view will help you maintain your strategic vision and prioritize work that needs to be done based on the strategy that you’ve defined. If you’ve made it this far, then hopefully you’ve learned a lot about how to create a content marketing strategy that will help your business grow. Of course, I can’t fit every detail of the process into a single post. But the resources included throughout this guide are meant to fill in the gaps. My hope is to provide a basic blueprint for the process, which you can follow and reference those resources to tackle each step of the way. If this guide is a compass, then those links should be turn-by-turn directions. Refer to them to give you the tactical guidance you need to develop and execute your strategy. If you have questions or need help with your content marketing strategy, feel free to leave a comment below or drop me a line. Learn how we use content marketing to achieve massive growth for all kinds of companies. 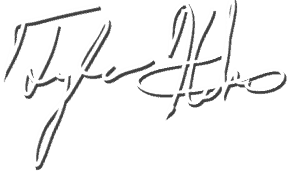 Tyler, what a truly outstanding resource! I’ve cleared a day in my calendar next week to work through this and all the links that you’ve referenced. Thank you, you’re a legend! Tyler you have done incredible workputting this together. This might just have been one of the most thoughtful and useful reads I have ever experienced online! You may want to reduce the fixed header height. It’s quite tough to read with 134px floating above text and a sharebar below (especially on mobile).